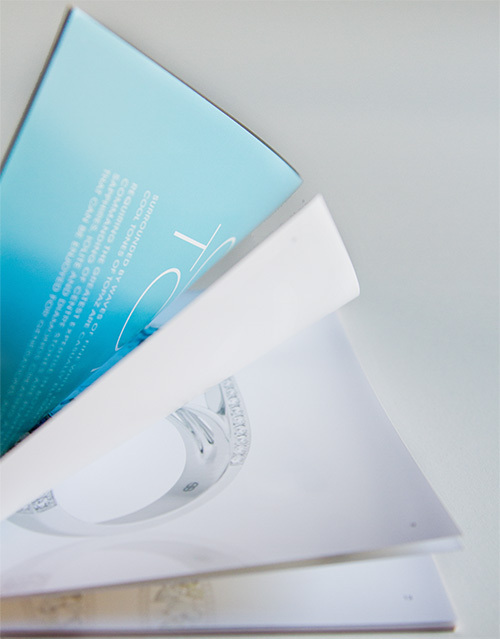 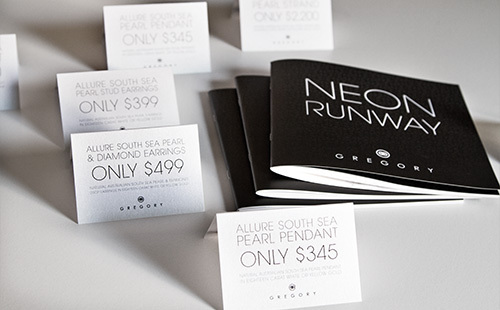 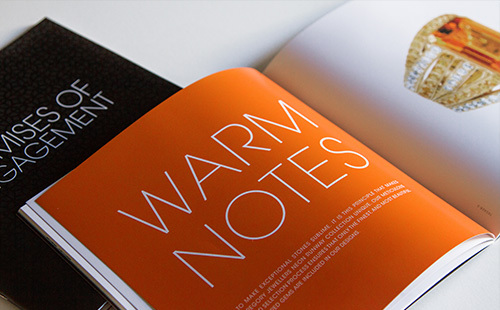 We enjoyed the opportunity to work with one of Australia's fastest growing and most prestigious local jewellers. 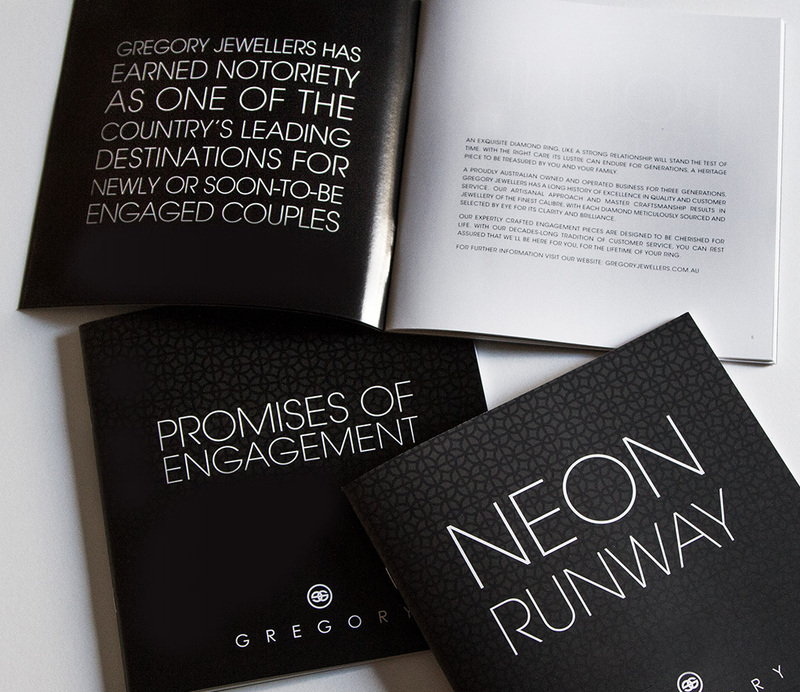 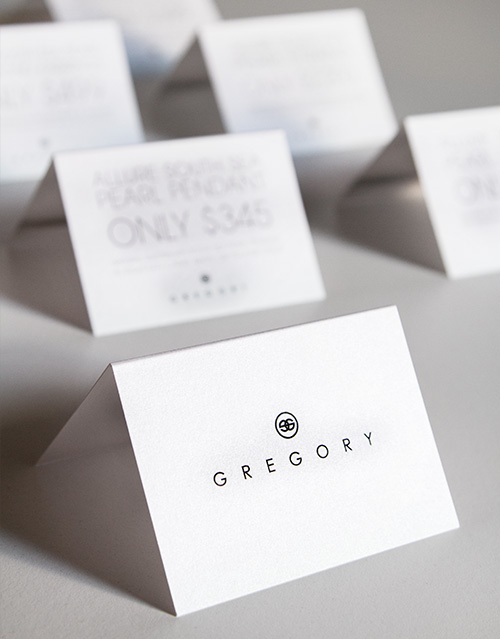 The Gregory's brand had been well established for many years when we began working together. 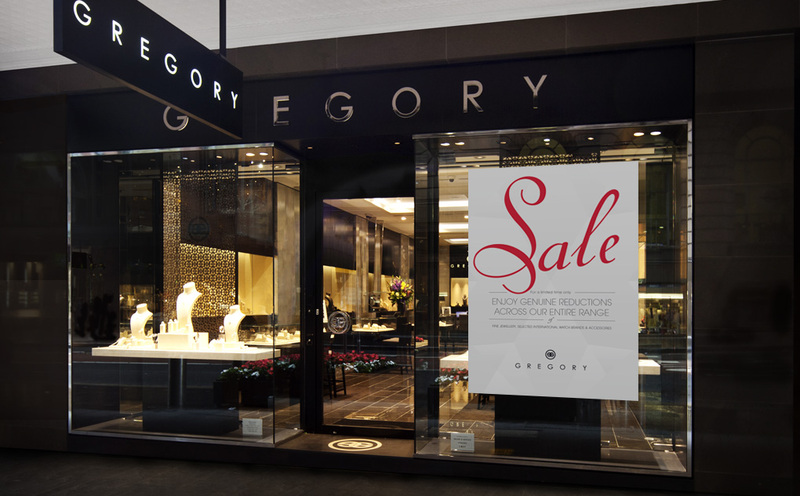 With flagship stores on Castlereagh Street in Sydney and a new openings in Melbourne, we assisted in smoothing out and improving their typographic image. 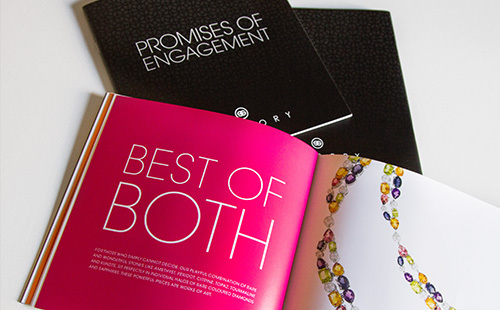 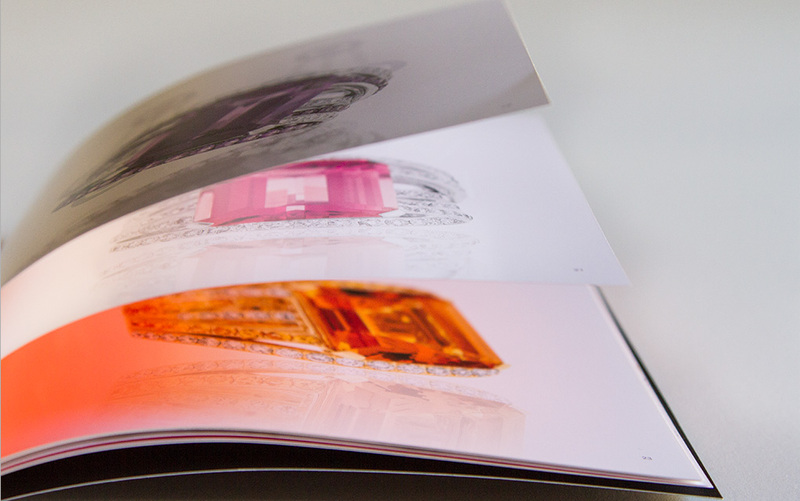 Delibrand worked with the internal brand manager to revamp billboards, brochures, hefty catalogues, point of sale pieces and a diamond grading certificate, which was akin to designing informal currency, with printed security considerations etc. 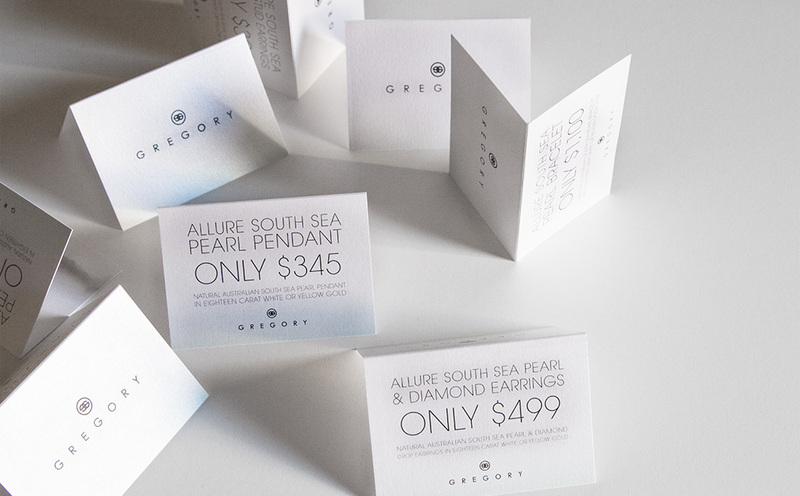 We also worked on paper selections, enhancing the tactile qualities of branded collateral, introducing (on-brand) diamond-like lustre and texture to cards and store materials with metallic papers.